Huawei today unveiled the highly anticipated Huawei Ascend P7. Building on the success of Huawei Ascend P6, the new 4G LTE-enabled smartphone redefines smartphone excellence with top-notch features, ultra-fast connectivity and easier navigation in a beautifully-crafted design that places it in a class of its own. For intense visual clarity when viewing multimedia, Ascend P7 has a 5-inch FHD touchscreen display with 1920 x 1080 resolution, 445ppi and 16:9 aspect ratio. Take better selfies or the ultimate group selfie – a groufie- – with the leading 8MP 5P non-spherical lens front-facing camera that comes with a panorama function for panoramic selfie shooting, and 10 level auto-facial enhancements in beauty mode. Users can also take a selfie video with the 1080p HD video playback. Huawei Ascend P7 ensures picture-perfect moments every time with innovative built-in mirror function and selfie preview window. With a 5-inch full high definition display, industry-leading 8MP front-facing and 13MP rear-facing cameras, Huawei Ascend P7 will Make it Possible for people to express excellence with edge, anytime, anywhere. 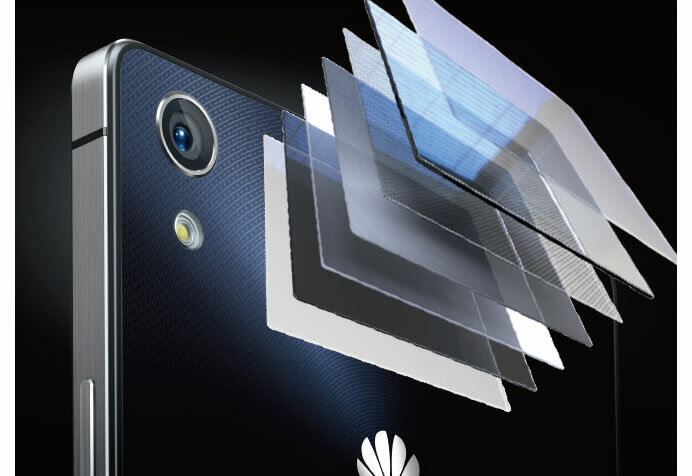 Huawei Ascend P7 gives users an edge in low-light settings with Sony’s 4th generation BSI sensor, Image Signal Processer (ISP), IMAGESmart 2.0 software and f/2.0 aperture on its 13 MP 5P non-spherical lens rear-facing camera to create unparalleled clear, rich pictures at night or indoors. At 6.5mm slim, Ascend P7 sets a new record as one of the slimmest 4G LTE smartphones in the market. To relentlessly pursue excellence with edge for discerning global users, Huawei incorporated a perfect harmony of design influences from the West with attention to details from the East. Huawei Ascend P7 provides an edge with enhanced strength and durability against everyday use with Corning Gorilla Glass 3 front and rear covers. Enjoy long-lasting continuous media viewing and data sharing thanks to the robust 2500 mAh lithium polymer battery and proprietary battery saving technology. In addition, the power saving management function enables users to switch off any applications running in the background which are consuming unnecessary power to save battery. 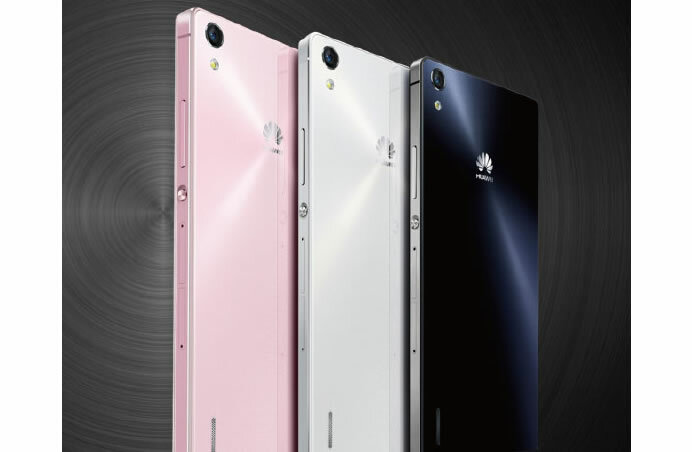 To suit any style, Ascend P7 is available in a range of fashionable colors including black, white, and pink. The recommended retail price of Huawei Ascend P7 is 449 euros . Accessories include HUAWEI TalkBand B1, colorful protective cases, clamshell protective screen covers, and portable batteries.